New York City, our show with @geographermusic has been postponed due to lack of electricity. It is currently being rescheduled, date TBD. So sorry everyone, we’ll keep you posted. Generator jokes welcome. 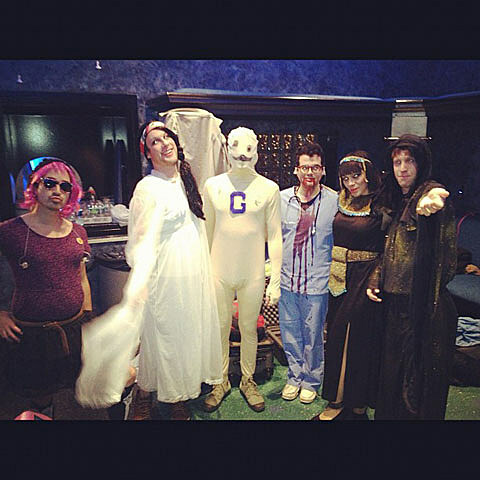 Meanwhile, feel free to make jokes about the band in their halloween costumes (above photo taken at their 10/31 show at 9:30 Club in DC).